Having a clear stage that is transparent allows lights from underneath the stage to shine through it. This special feature can be utilized for a numerous amount of different applications in the entertainment, worship and wedding sectors. A 24×12 clear stage with white skirting and stairs and color changing lights underneath it for a band. 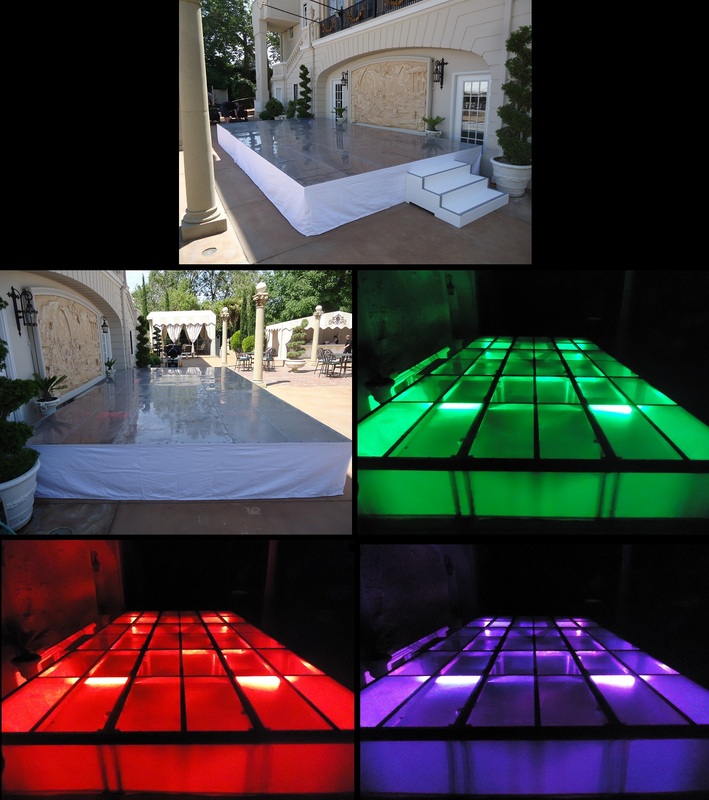 A 12×8 clear stage with white skirting and steps with white lights underneath it for a middle eastern engagement party. 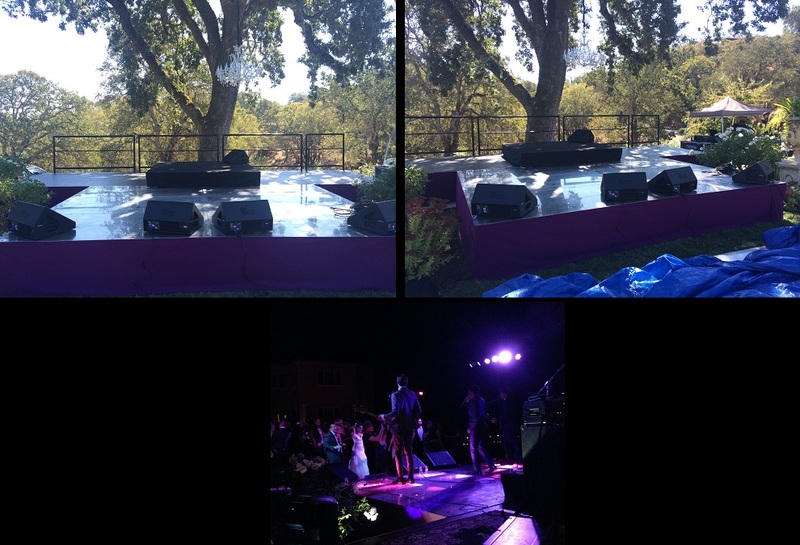 A 24×8 clear stage over a fountain for a dance performance. 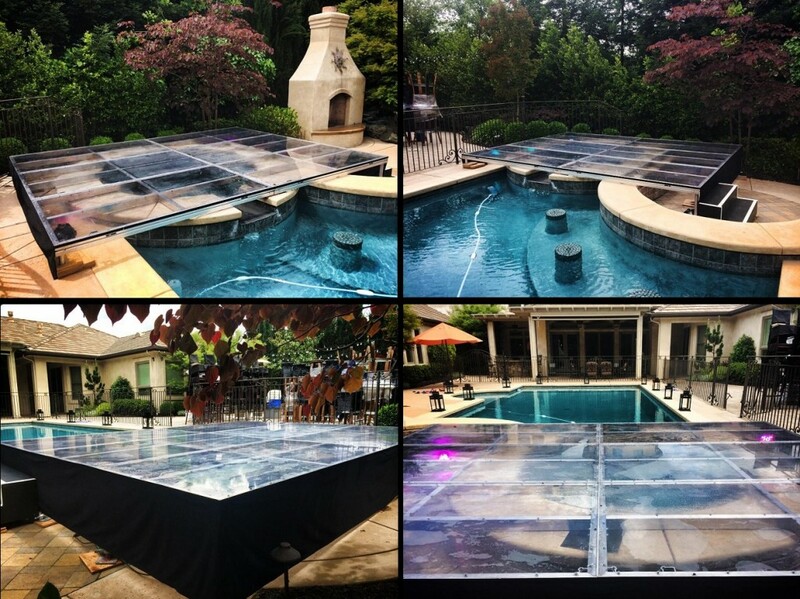 A 16×12 clear stage over a spa with LED lights underneath it. and a 28x8x30″ black stage behind the clear stage with an 8x8x1 carpeted drum riser. Left column is a 20×20 clear stage hanging partially off of a skyscraper building for a rock concert. 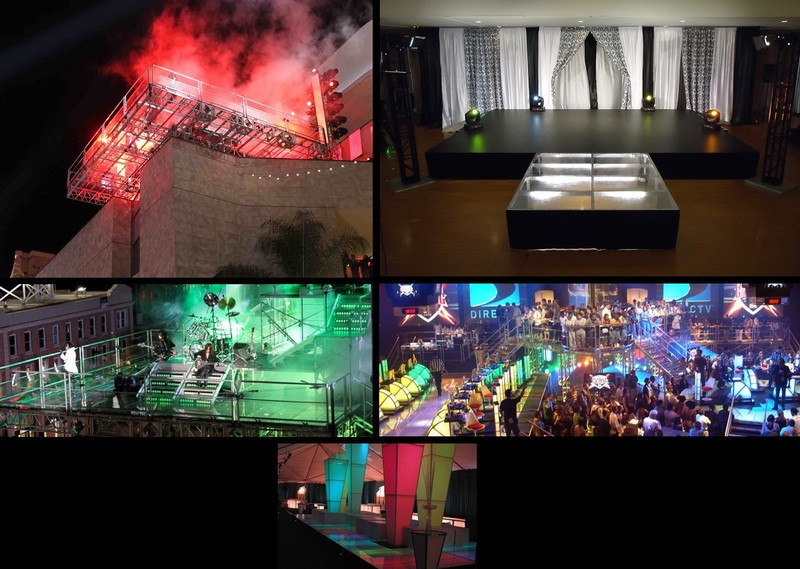 Top right picture is a 24×16 stage with standard black decking and a 8×12 clear runway for a fashion show. Bottom right and very bottom picture is featuring multiple amounts of clear staging for an expo. A 24×16 stage with the front portion of the stage clear with red up lights shining upward through the stage. 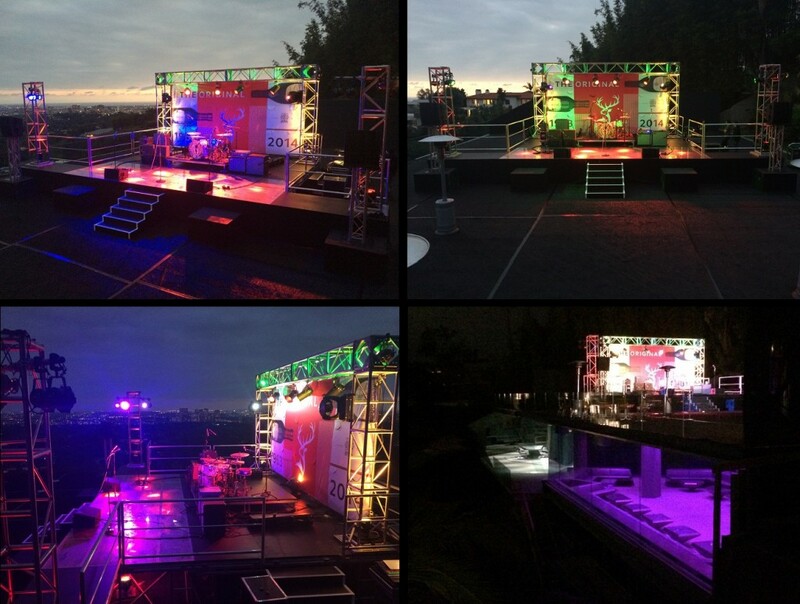 This stage was build on top of a tennis court, on top of a night club, at a private residence in Beverley Hills. 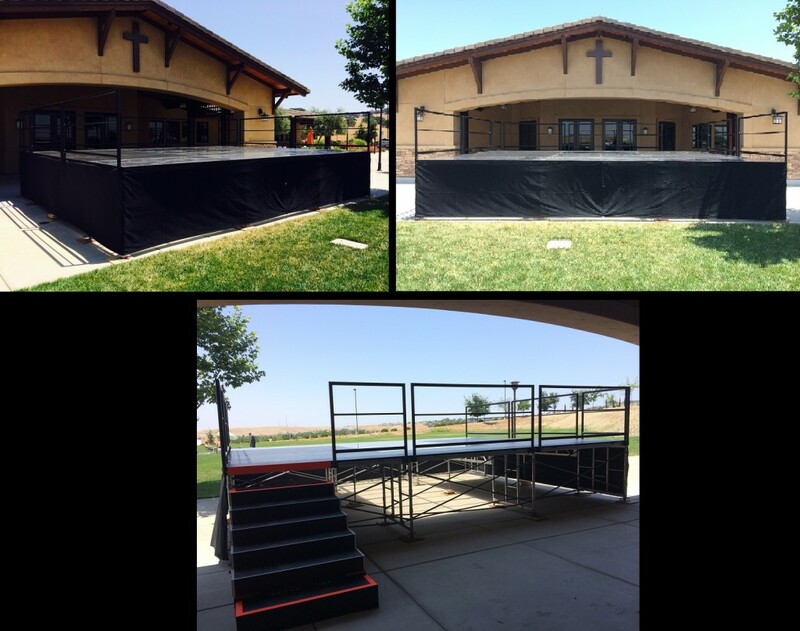 A 24x20x4 stage with a mixture of clear stage decks in the shape of a cross with black stage decks surrounding the cross.